Aligning with a strong year of growth for its collaboration portfolio, Verizon enhances its One Talk mobile solution with enterprise-grade features. 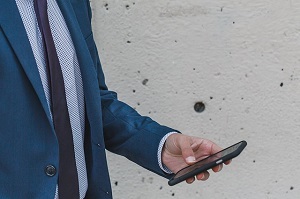 When Verizon released its One Talk mobile service roughly a year ago, many analysts praised the announcement as representing a real advance toward true mobile-based Unified Communications. UC analyst Dave Michels wrote on No Jitter that One Talk represents a different model than traditional mobile UC products, which often rely on multiple numbers, a smartphone client, and complicated routing and call forwarding. In contrast, with One Talk the mobile phone and desk phone share a single identity, and Verizon provides both the fixed and mobile devices as well as the wired and wireless network services. "If this model emerges as a trend, it will hurt several UC/UCaaS vendors," Michels wrote a year ago. "With One Talk, the UC/UCaaS vendors are excluded from the conversation. The integration takes place within the wireless network, and sales and support go through the provider's channels." The main drawback, from the enterprise perspective, was that Verizon originally targeted small businesses with One Talk, seeing particular traction with companies with 20 or fewer employees, something Michels attributed to the service's initially "limited feature set." Today, Verizon set out to overcome this limitation, announcing the expansion of One Talk, by adding new functionality to make it more suitable for mid-market and larger businesses. The enhancements come in three main areas, as Alex Doyle, director of Unified Communications & Collaboration at Verizon, explained to me in a briefing. To start, Verizon is adding team collaboration into the mix. The company has productized BroadSoft's Team-One solution, offering it as an add-on app for One Talk, at an additional charge of $15 per seat monthly. One Talk and Team-One remain as separate, loosely integrated apps for now. As Doyle explained, this fits in with Verizon's strategy to offer its customers flexibility. Customers that are Cisco shops can leverage One Talk with WebEx and Spark, while other customers can leverage Team-One. The second area of enhancements is around support for multi-site businesses. In terms of management, organizations with branch sites, for example, can have multiple administrators charged with overseeing particular sites or departments. Different sites will have unique employee personas with different needs, so Verizon built in the capability for admins to turn off and on One Talk capabilities by site. There are also more options for call processing and calling integrations, Doyle explained. Often, organizations will have a PBX in place that's already paid for, he said. "They want to migrate at some point but it's just not in their top 10 problems." A company in this scenario might migrate field sites to One Talk and plan on adding the rest of its sites later. But in the meantime, they need to have calling and dial plan integration between One Talk and the legacy on-premises PBX. New admin capabilities make these sort of integrations between sites possible. The final area of enhancements is with enterprise features. With the Team-One collaboration add-on, Verizon is aiming to provide better collaboration experiences that can meet the demands of larger businesses. Other enterprise features Verizon is adding include on-site installation and setup, customizable policy management, and call queueing and ACD functionality, Doyle told me. Beta testing with a number of Verizon customers has been underway for the last 60 days, and the new One Talk capabilities will be commercially available beginning October 5. Other than the additional monthly flat rate for the Team-One application, there is no additional pricing for the One Talk enterprise features. Current customers that want to make use of the additional functionality simply have to flip a switch on the account. One Talk's move up-market is just one piece of the bigger collaboration picture. This move comes as Verizon continues to see growth in its collaboration business as a whole. As Frank Ciccone, VP of Verizon Advanced Solutions, told me, year-over-year revenue for Verizon's collaboration portfolio is up 47%, something Ciccone attributes to growing customer demand for mobile collaboration tools across a variety of industries, from healthcare to retail. "Everybody knows that collaboration is a major driver of innovation; and you need innovation to not get disrupted, as they say," said Ciccone. "And mobility is one of the key drivers for collaboration. More applications today are built around personas and less around companies. As these things mature and as the need for mobility and mobile-first apps starts to become more required and less 'nice to have,' and as the workforce continues evolve, you'll see more of these types [One Talk] of services."